Optimum Pools – Pool and Patio Inc. 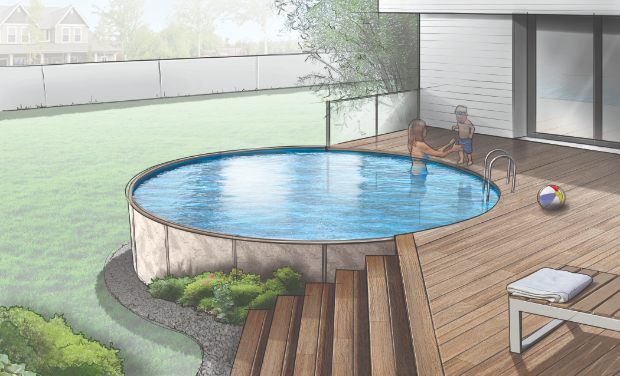 The Optimum is a low-profile pool that can be installed above ground, in-ground, partially in-ground, and even into a slope. Revolutionary engineering eliminates uprights and top rails, allowing a perfectly round pool with greater structural integrity. 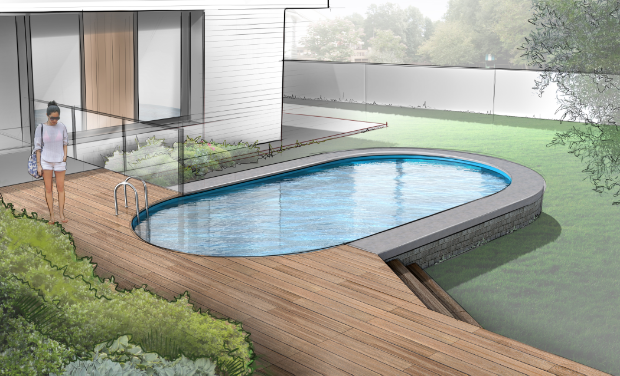 Allows the pool to retain heat, keeping the pool warmer for longer. Available in various round, oval and freeform sizes, to fit almost any customer’s backyard and budget. In-ground, above ground, partially in-ground, into a slope! ​Steps, a deep end! The possibilities are endless!. An in-ground pool at an above ground price. Optimum’s 2″ thick wall with insulating foam sandwiched between aircraft grade aluminum offers durability and endurance.